Which window material is right for me? Trying to decide which material is the best choice for your Kalamazoo or Grand Rapids home? While vinyl, wood clad and fiberglass are all excellent choices for replacement window frames, you’ll need to decide what features are most important to you. • Are you on a very tight budget? • How concerned are you about energy efficiency? • How important is the amount of maintenance needed? Your local Blackberry representative will help you answer these and many other questions, so call us today at 800.732.9400 or click “Schedule a Consultation” below to schedule your no-obligation, in-home consultation. Our most popular and best-selling window. Our expert design and sales staff will come to your West Michigan home and provide you with a complete evaluation and free estimate to meet your window replacement needs. All of our replacement windows are high-performance energy-saving designs that keep your home warmer in the winter, and cooler in the summer; and best of all you save precious money on your utility bill. When you purchase replacement windows from BlackBerry, you’re assured of a high-quality product, excellent installation and committed service for years to come! 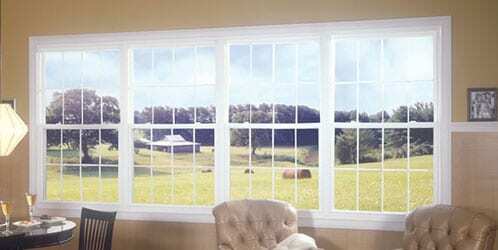 Call BlackBerry for all of your Kalamazoo and Grand Rapids replacement windows needs!